.. as it hides a myriad of sins. The Hotel Restaurant Plaza has an impressive front and beneficial location. It has a hard working staff and a large spacious restaurant in which you might imagine all kinds of wonderful meals would be served up. Its bedrooms are warm; its shower-rooms come equipped with everything you think you might need for a comfortable stay. "It has potential!" as an estate agent might say when they show you a dilapidated town house whose ceiling is falling in and whose water pipes refuse to stop clanging when you turn the water off. However, the Hotel Plaza's reality has a long way to go before it meets its potential. True, its front is impressive: but it is just that, front and nothing behind it. Seriously, hardly anything. True, its staff are very hardworking: they have to be as there only ever seem to be two of them on duty and they're rushed off their feet most of the time, tending to several different duties all at once. Breakfast is a variable experience and a bit of a lottery: one morning there's a bit of cooked food which is over an hour old and no-one to serve anything else; the next morning the breakfast is much busier and staff who are only too happy to help and get you anything you need. On the last night of my stay, our work group saw one poor..... as it hides a myriad of sins. The Hotel Restaurant Plaza has an impressive front and beneficial location. It has a hard working staff and a large spacious restaurant in which you might imagine all kinds of wonderful meals would be served up. Its bedrooms are warm; its shower-rooms come equipped with everything you think you might need for a comfortable stay. "It has potential!" as an estate agent might say when they show you a dilapidated town house whose ceiling is falling in and whose water pipes refuse to stop clanging when you turn the water off. However, the Hotel Plaza's reality has a long way to go before it meets its potential. True, its front is impressive: but it is just that, front and nothing behind it. Seriously, hardly anything. True, its staff are very hardworking: they have to be as there only ever seem to be two of them on duty and they're rushed off their feet most of the time, tending to several different duties all at once. Breakfast is a variable experience and a bit of a lottery: one morning there's a bit of cooked food which is over an hour old and no-one to serve anything else; the next morning the breakfast is much busier and staff who are only too happy to help and get you anything you need. 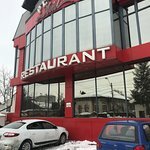 Potentially, this hotel could be a real asset to the city of Craiova but with one member of staff openly admitting that she had no idea why people would visit the City, let alone the hotel, there's a long way to go before the hotel can consider itself on the assets side of the cultural balance sheet. Great location in the city, and full of friendly staff who speak fantastic English. I would definitely stay here, and also recommend the included breakfast buffet. Very lovely and worth coming back for! The hotel services are great. The rooms are well maintained, a combinations of styles. The hotel is in a great location where you can reach by walking in within 5minutes every important place in the city. It's near the University, 2mins from the Old Town. The staff was very helpful and smiley. The only problem we had was with the internet connection that was not working at that moment. Everything was fine until a mice appeared in my room . The staff said they found nothing , no refund and i even had to pay extra for an orange juice . They don't care about the clients. '' do you want some breakfast ? The kitchen is in the basement , don't worry there are no mice , only on the second floor ! '' :))) . So have a nice stay . I stayed in this hotel in the beginning of November. Even though there were -3 degrees Celsius outside, the heating in my room did not work and I woke up freezing in the morning. When I complained to the receptionist, he asked if I checked the windows to see if they were open. I would expect at least the basic conditions for this room rates. The breakfast was not the best and the attitude of the personnel definitely needs improvements.